TPI Washdown industrial fans feature an enclosed permanently lubricated, PSC-type ball bearing, single-phase motor that ensures long life and optimum performance in wet and moist environments. 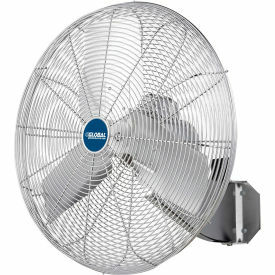 Washdown fans have white epoxy coated steel wire guards that enclose 3 quiet aluminum fan blades for safety. 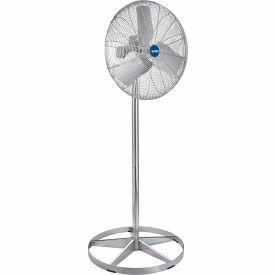 Pivot-action fan head allows vertical tilt angle adjustments. Meets OSHA standards, and are UL listed. 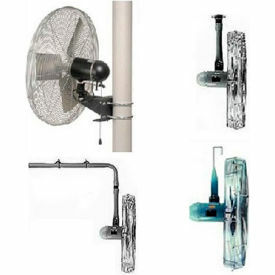 Suspension mount fans easily hook on to rods and pipes for hanging applications. Ceiling mount fans include a mounting plate for ceiling applications. 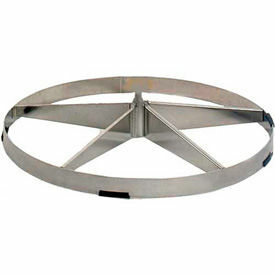 I-Beam fans include pipes, u-brackets, and hardware for I-beam flange attachment. 120 or 240V. 1 Year Limited Warranty. Airmaster® Washdown Components Help Create The Washdown Fan That Meets Your Needs. Washdown components are sold individually to help you configure that fan that meets your washdown needs. Washdown components are designed to withstand moist and wet environments. Allows high pressure cleaning with concentrated caustic solutions without affecting performance or function. UL/cUL listed. Stainless Steel Components are made of electro-polished type 304 stainless steel that is perfect for food service applications. Meets USDA and NSF requirements for "Food Zones". 10 Year Limited Warranty. White Epoxy Components Restricts entrance of moisture and releases condensation from within motor. 2 Year Limited Warranty.